Fancy a trip to Washington DC? If you’ve never been to the capital of the United States, then you’re missing out. There are so many amazing sights to see that you might struggle to fit everything in during your visit. If a vacation in DC is on the agenda, then these are the monuments that you absolutely have to see while you’re there. Martin Luther King Jr. made a huge impact on DC back in 1963. 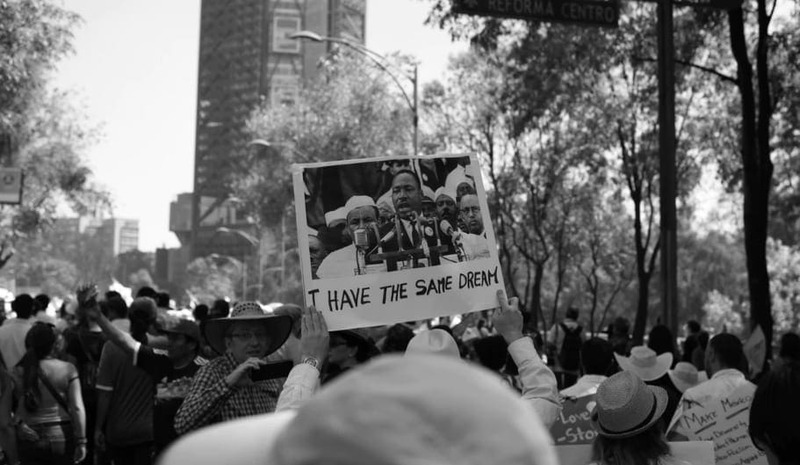 During the March on Washington, the activist made his “I Have a Dream” speech which has now gone down as one of the most iconic speeches in history. If that’s not enough of a reason to see this memorial, then we don’t know what is. It’s located in West Potomac Park, just outside of the National Mall where a variety of other must-see monuments reside. One such monument is the Vietnam Veterans Memorial. This landmark covers two acres in the National Mall and is dedicated to members of the U.S. armed forces who fell during the Vietnam War. More than 58,000 names have been inscribed on the memorial, which has stood since 1982, and it ’s touched the hearts of the many thousands who visit it. Seeing the names of so many people who lost their lives can be quite depressing, but the wall is a moving tribute to those who fought for their country. Other monuments have since been erected as part of the memorial. These are the Three Servicemen and Vietnam Women’s statues, which are located close by. They’re not as popular as the wall, but are worth a visit to remember everyone involved in the conflict. One of the most prominent monuments in Washington DC is the Lincoln Memorial. It’s a building that many associate with the capital, and is one of the most popular landmarks in all of North America. As you might be able to guess, the memorial is dedicated to a man considered by many to be one of the United States’ greatest presidents – Abraham Lincoln. 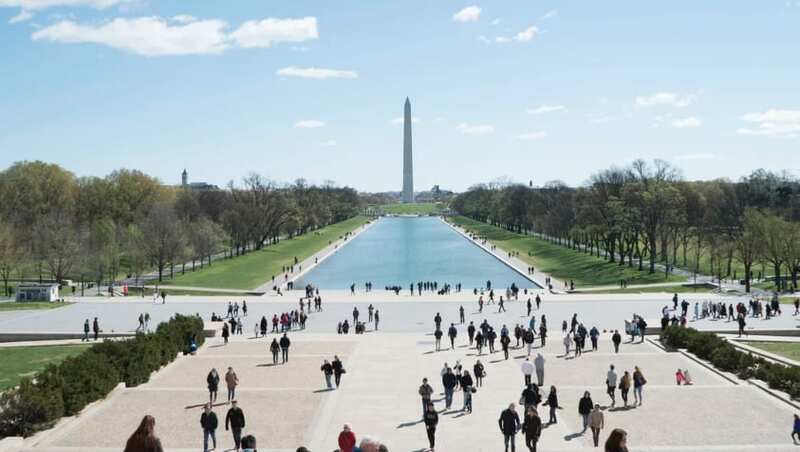 Thousands of people visit the monument on a daily basis to learn more about the man and see the statue of him that overlooks the Reflecting Pool. The memorial has done more than pay tribute to Lincoln. It’s actually been a part of history itself. That iconic speech that Martin Luther King Jr. made during the March on Washington? Done right on the steps of the Lincoln Memorial. You can’t visit Washington DC to look at monuments and not go see the Washington Monument. The clue is in the name. This obelisk stands at the foot of the Reflecting Pool opposite the Lincoln Memorial, and was erected in honor of George Washington. The monument is an impressive sight to see, especially as its the tallest stone structure to have ever been built. While you’ll probably catch glimpses of it during your time in DC, it’s still worth giving it a look up close. One of the iconic monuments to see that isn’t located on the National Mall is the Titanic memorial found at Channel Park. It was originally erected in Rock Creek Park in 1931 to pay tribute to the men who died on the Titanic so that women and children could live. However, it was moved in ‘68 to its current location to make way for the Kennedy Center. While there may not be much to the statue, it’s iconic pose should strike a chord with most visitors, and remind everyone that Titanic wasn’t just an award-winning film. Tempted to book yourself a mini vacation in Washington DC now? If you’re someone who loves a bit of historical sightseeing, a visit to the capital is definitely in order.